iPads and pavement don’t mix, but a StyleFolio case can protect against the worst case scenario. Check out the pictures above and below to see the aftermath. 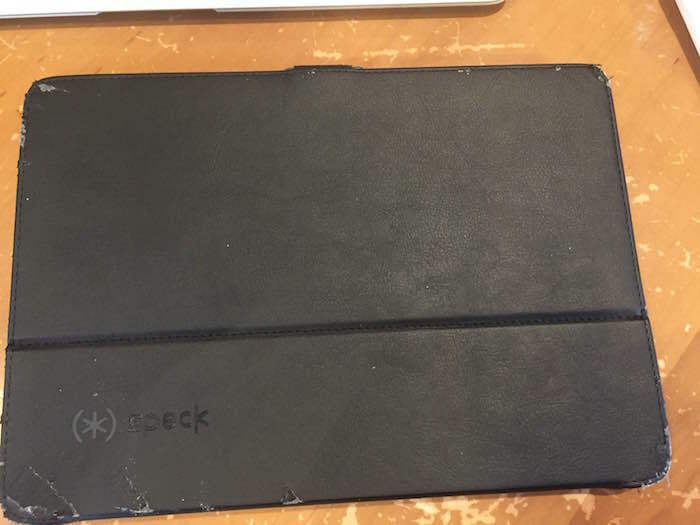 The StyleFolio case is a little beaten up, but Chris’ iPad Pro is still looking great! Do you have any stories to share about how Speck cases have saved your phone? Comment below, or reach out to us on Facebook, Twitter, or Instagram!